This wedge of wood easily slips into a keyhole already provided on most frames that allows the frame to lean back onto as a support. This way you can sit your frame on a desktop, shelf, mantel, dresser, or any other flat surfaced area. 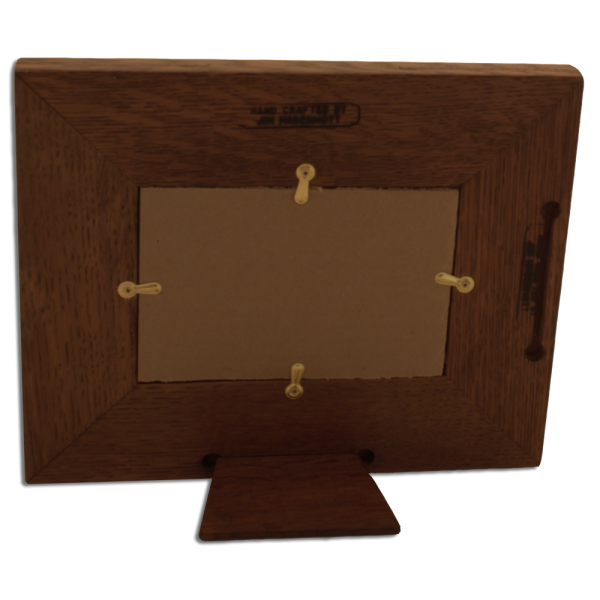 The wood easel works on both mitered and tenon frames. 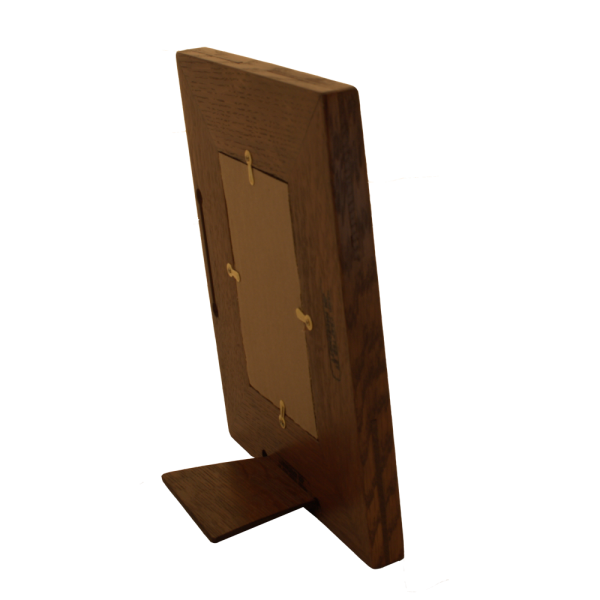 The wood easel wedge snuggly fits into the keyholes on the back of the frame so it will stand on flat surface such has a desk or mantel. If preferred the wood easel can be removed so you can use the keyholes to hang the frame flat to the wall. Because it does take time to make and finish this item there is an additional fee involved for its inclusion with your frame.